Stock Audi A6 AVANT 40 TDi S-TRONIC*SPORT*MODEL 2019*IN STOCK !! Audi A6 AVANT 40 TDi S-TRONIC*SPORT*MODEL 2019*IN STOCK !! 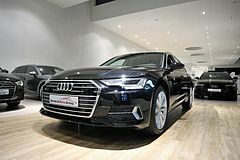 ***UITZONDERLIJKE AANBIEDING*** NIEUW MODEL AUDI A6 AVANT "SPORT" 40TDI 204PK S-TRONIC, UIT VOORRAAD LEVERBAAR & TOPPRIJS !!! De normale prijs bedraagt 59.785 euro BTW inclusief, NU UITZONDERLIJK 44.500 euro BTW inclusief of 36.777 euro +BTW.